wow, it's a good thing you posted all that helpful information after what I felt was a rude rant (I particularly found the way you talked about that gentleman concerned about your baby's safety was pretty rude - like a person's concern and curiosity always means their nosy and ignorant, learn to be happy people are asking about it nevermind what their attitude seems like). 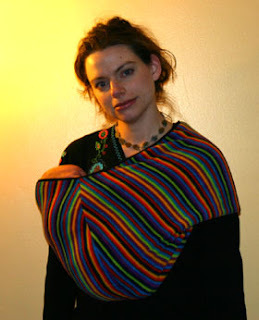 It's a good thing that I like babywearing and actually read to the bottom of your post, instead of being a 'newbie' and reading the rant only and never wanting to babywear because of the superior attitude you put across. Obviously you are frustrated, then take this as your cue to educate - I think that if babywearing were to become mainstream you need to get it out there where it can be accessible to everyone, like Wal-mart and Target! Educate, promote and educate some more! 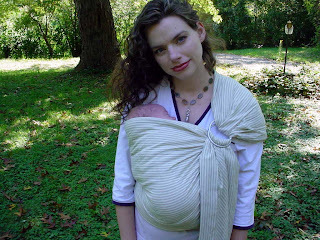 If I didn't have a few friends that were avid babywearers I wouldn't know what I know about babywearing because I DON'T SEE ANYONE DOING IT (I live in a city in Canada). In my opinion, please don't make this a big issue like breastfeeding VS. formula (babywearing Vs. strollers) because as much as I think babywearing is a wonderful thing, we each have our own choices as mothers and the choices we make should not label us as 'bad mothers' if we don't do things a certain way. I personally am glad that the warnings have been put out there to save babies, yes it may bring with it mis-information, but instead of being frustrated with the roll-off you seem to be getting, take it as a HUGE opportunity to educate people - take it mainstream! The piece I saw about this warning had a WAHM that makes rings for slings advocating this warning and she was babywearing 'safely', what a GREAT opportunity she took! By the way, this is the first time I have stopped by your blog, hopefully next time it will be a little more positive experience! Ellen, wow I am sorry you thought my post was negative. Here I was thinking that as far as vents go, mine was fairly mild, LOL!! I can only assume that you have not been constantly bombarded by rude comments from strangers? Many of us hear it daily when we go out and it is certainly natural and normal for me to have a desire to vent about it (and what better place to vent than MY blog?). While it is regrettable if anyone is turned off by anything I write, I also don't apologize for the way I raise my kids, or for sharing my thoughts and feelings related to that. They are what make me who I am and sharing them is how I allow others a glimpse into my world. I certainly don't expect everyone to agree with, or relate to me. There is a difference in curiosity and rudeness and I get both (not just on babywearing, but my family size, breastfeeding, homebirthing etc. it happens daily). I ALWAYS respond with a smile (to the curious as well as the rudest of the rude) and like I did with the man in my story (who was both curious but also a bit rude in how he came across) I always go out of my way to talk with them and answer all their questions in an attempt to educate. As you read, I said I spent 10-15 min. talking with him, if this isn't making every effort to educate I don't know what is. Usually I have the kids mulling around begging me to stop talking so we can leave,LOL !! Just because I respond with a smile on my face in a kind way, and am used to a wide range of comments (and I welcome most of them), doesn't mean I am not bothered by rude comments and feel the need at times to vent about and the overall ignorance in society when it comes to babywearing and other aspects of parenting that are not mainstream. You are right, education is key, and it is why I am willing and happy to stop what I am doing to talk with others. I have been educating others on babywearing daily for 7 yrs. both online , in classes and videos, as well as daily as I go about life (we don't own a stroller so I am always wearing a child). You mention walmart. I have been babywearing in Walmarts across several states almost weekly since my first trip wearing a baby in walmart 9 1/2 yrs ago when my firstborn was 3 days old!! I talk the talk but also walk the walk. I do as much as I physically can, which includes spending hours on a blog post with helpful pictures, information and links (much to the dismay ofdh who sometimes complains about the time I spend sharing with others, LOL, though he does understand). It's easy to become frustrated about the way mainstream people react to baby wearing. It unfortunately clouds what may be simple curiosity. 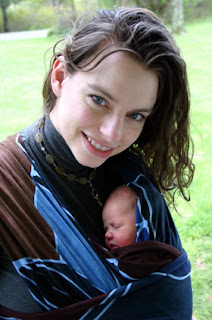 One time I had my third baby in the sling as a newborn and she was completely covered. I went to Wal-mart and the door greeter followed me all over the store and finally stopped me near the back. He said accusingly "what do you have in there?" and when I responded "a baby", he said suspiciously "what kind of baby?". I felt as if he thought I was doing something wrong and his attitude was certainly hostile. Recently I was at Wal-mart, again, and one of the employees came up to me while I was wearing my 4th baby in a Kozy on my back. In front of my other children she addressed my one year old son and said "You must be so unhappy in there. You can't see a thing!" in a disapproving tone. I kindly explained that he could see plenty and was perfectly happy back there. I have also had people walk behind me as I was putting on my mei tai and "help" without asking. 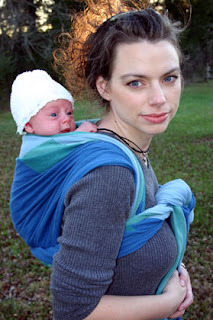 Physically taking the straps or holding the baby on my back as if I were doing something horribly dangerous. So I am certainly suspicious of people who may be well-meaning and just curious. Usually I am able to tell the difference, as Kelley could, after speaking with them for a bit. She also never said she was rude to them. It makes me think of the time that someone asked if my firstborn's curls were natural. What I wanted to say was that I used a hot curling iron for hours each morning to curl my 2 year old's hair. Instead I replied that they were, in fact, natural. So am I rude for thinking that? well I guess I would not want to hear a harsh rant than, lol. I appreciate you taking the time to explain things - like I said, this was my first time stopping by. 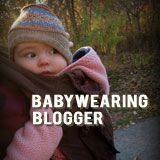 By all means, of course you can say what you like on your blog, but playing devil's advocate - if I knew nothing of babywearing and read this, I would not have got to the practical/educational stuff due to the 'outspoken and opinionated' (as was mentioned, :)) rant. You are right, I do not get bombarded daily with rude comments or even any bad comments - I don't know if it's just the area I live in, but around here I've never had problems with strangers maybe a few stares or weird looks, but mostly just questions or conversations (I do BF in public and babywear on occasion when my kids were younger). I'm glad that you are actively educating and advocating for what you believe in! What you should do is make up a brochure with the most common questions of babywearing (from the 'ignorant' people) and answers - keep them in your diaper bag and then if anyone makes comments - give them the brochure and tell them to talk to you after they finished reading it, lol. No mother should ever have to apologize for how they are raising their children (obviously as long as the children's best interest is in mind when making decisions) whether it's mainstream or not. As a side question, do you not expect to generate a lot of attention when sharing so openly about non-mainstream issues? Any information I've heard about the sling safety report has been completely one-sided (anti-sling). My grandparents called me immediately upon hearing their news report, saying that "thousands of babies had died in slings like yours" (a ring sling) and that it was horribly dangerous and I needed to stop wearing my baby because she could die. 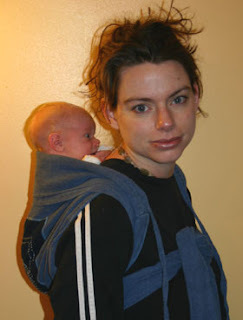 Because babywearing is not mainstream, most mainstream media outlets aren't covering anything other than the dangers of "slings" as a whole category. It shouldn't be an issue with "sides;" it should be educating the public on safety and eliminating identified risks. Hopefully all the other babywearing mamas out there will join us in using this as an opportunity to educate! Kelly, I know, wearing newborns is one of my favorite things in the world! MamaEm, thanks! Thousands? Try well less than 1 a year for the last 20 yrs . I spent many hours writing everything out and finding good pictures to show. This subject is very important and since this afternoon I have heard even more reports from moms getting harassed because of the recent news. It saddens and greatly frustrates me. 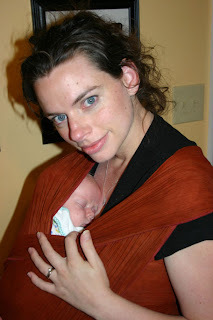 Babywearing has come a long way in the last several years, hopefully this fearfulness won't last. Ellen, I most definitely expect to get comments, questions and looks. And I actually welcome them (even if I do find them occasionally inappropriate and rude) because I love the opportunity to share. Dh was actually counting the number of people who were talking about us under their breath at our last trip to walmart, and I was stopped 2x (though it was about the kids, not babywearing). Usually the people who approach me (IRL or online) are really just curious and ask a ton of questions, which I love to answer! I don’t do what I do because I either like or dislike being thought of as different. I share to allow others a glimpse into my world and to open their eyes to new possibilities and for some, to empower them to listen to their instincts (whatever they may be) instead of being pressured by outside influences. I don’t personally attack others nor do I tell others what they should do. I share what *I* do it because I think it is best (otherwise I would be doing things differently) and if I have to deal with the occasional rude and ignorant comment then so be it. I am so glad you wrote about this! 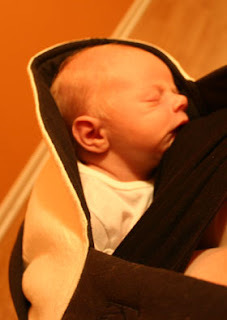 I love your blog, I love your Kozy Carriers - (just bought one the other week for my first child, a son, due in a few weeks! So excited!) - and ever since that warning came out I have been checking here to see if you wrote about it yet! I just knew you would! 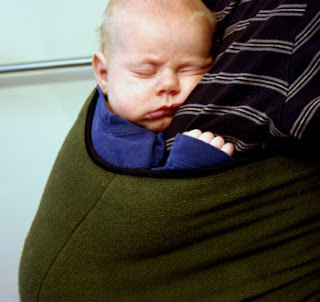 I AM glad that something has been said about those bag slings - they are dangerous, and when I do see women babywearing (not too often) it usually in one of those. 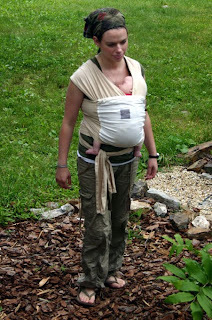 :( But also I fear that this will scare people out of babywearing altogether. And I can just see myself walking around Wal-Mart or somewhere with my son in his Kozy and someone says "Oh, baby carrying is bad, he can suffocate." Or something like that. I will have to be like you and take it as an opportunity to educate!! That is so smart! Because I know I will be offended. Loved this post! Your blog is always a delight to me, as is my Kozy! I passed on the link on facebook and two new moms I know. Wonderful post Kelley! 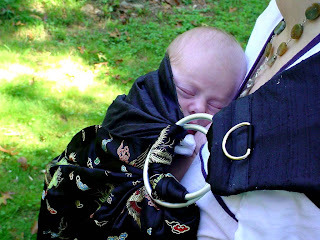 I bought my first Kozy Carrier back in late 2004/early 2005. 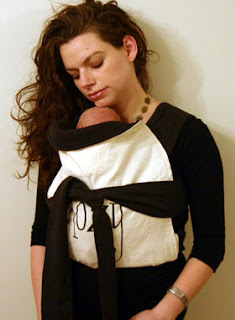 I loved it and have passed it on to my babywearing friends, along with my Over The Shoulder Baby Holder, Zolowear ring sling, mei tai carrier and my beloved ERGO. So this recent "sling recall" and fear of babywearing is important to me to share and educate my all my current Mom's and pregnant friends. 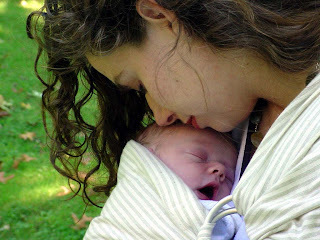 Babywearing is such a positive and healthy way to bond and share with our babies. I have just never understood why having our babies close to us could ever be bad for either Mom or baby. My children are now 6 and 4 yr old and I remember sometimes feeling like such an outcast when out shopping and running errands being the only babywearing Mom in sight. Thank you for taking the time to write this blog post and imagine it took some time bringing it all together. 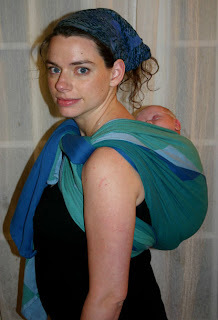 I especially LOVE the babywearing photo's. BTW, I never once thought your were being rude or condescending in any way when reading this blog post. Just sounded helpful to me! I am going to share this post on Facebook with all of my friends! And War Eagle to your sister! LOL! i loved how you called carseats buckets! 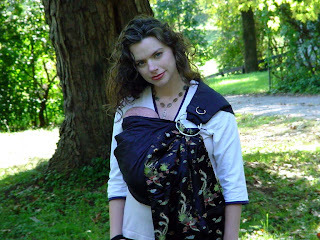 i hated using them but didnt discover babywearing until my DS was 6months :[ I sew'd my own Mei Tai and cant stop using it to carry my now 14month, 30lb baby. I was wearing him on my hip a few weeks ago to the mall and a teen girl said I was rockin him like a purse lmao!